Tile is possibly the best flooring option if you’re looking to be creative, but which material is best for you? There’s a certain uniqueness to tile. It captures a look that can’t be replicated by wood while also having an amazing amount of contrast and variety available. More than any other flooring material perhaps, tile can be used to create intricate designs and a one-of-a-kind look for your home’s interior. That said, there are a lot of different kinds of tile on the market so it’s important that you pick the one that suits your home. 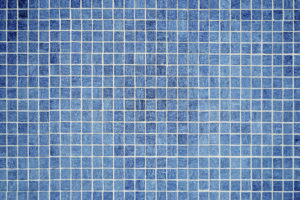 This is likely the most common tiling option that you’ve seen in homes. You can usually tell ceramic apart due to its glossy surface, but it’s also great for its high strength-to-weight ratio. These are often found in a number of different kinds of bathrooms and kitchens all around the world and are really a traditional approach to tiles. Typically, ceramic tiles are produced with a mixture of clay and quartz sand, as well as other materials—but this depends on whether the tile is porcelain or not. Glazing is also an option and is great for anyone concerned about stains. We’ve seen a huge spike in interest for glass tiles in recent history, as we’ve seen glass designs in general gain in popularity. While some homeowners worry about durability, others appreciate the natural waterproofing, easy installation, and huge range of customization options. They are also very resistant to any cleaning chemicals you may use and almost never stain. Natural stone is an appealing option as well. It’s very resistant to any form of scratching, though porous kinds of natural stone aren’t recommended for areas that contain a lot of moisture such as restrooms or kitchens. This would include materials such as marble and limestone, which are much more suitable for lower-traffic areas. If you’re dead-set on stone tiles though, slate and granite would be much more appropriate. Either way, you’re going to likely add a finish that can either retain the original, raw appearance, or make the tile look much more smooth and polished. This entry was posted on Friday, February 16th, 2018 at 5:46 pm. Both comments and pings are currently closed.